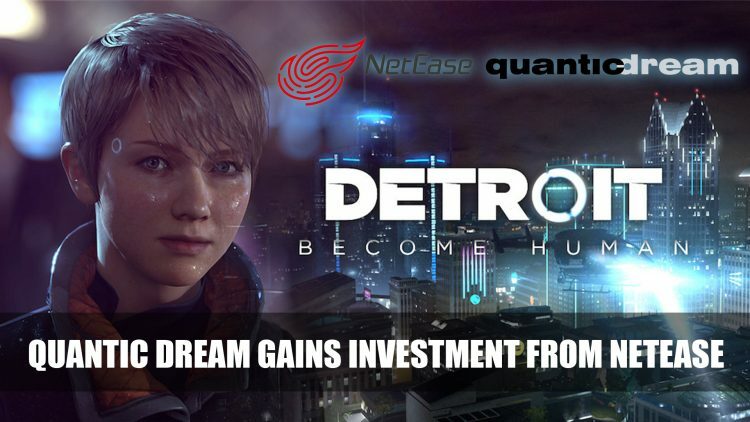 Recently shared Quantic Dream the developers behind Detroit: Become Human and Heavy Rain, have gained an investment from the online gaming company NetEase. Not only gaining funds but establishing a way forward without platform exclusivity with Playstation. NetEase have recently been investing in companies, notably with Destiny’s creator Bungie last year. They also a hold partnership with Activision Blizzard, working on Diablo Immortal. But its latest investment is none other than Quantic Dream. This investment will allow us to invest in future technologies and games in order to prepare for the next generation of platforms, with the same ambition regarding creativity and innovation. The interview also outlined that it wasn’t just funding that Quantic were after, they want to remain independent in their decisions and find a partner that they would work well together with creating a “meaningful partnership” according to an interview with Variety. Our objective is to be present on all platforms where there is an audience that can enjoy our experiences. We will, of course, continue developing on PlayStation, a platform that we know very well after having worked with Sony for 12 years, but we will also be present on all other relevant platforms. Hopefully Quantic Dreams will gain a supportive partner that will help them continue their highly acclaimed interactive storytelling. To read more about NetEase you can find it here in Bungie Gets Lucrative Investment From New Partnership With Chinese Game Company and Blizzard Announces Diablo Immortal Mobile Game And Fans Are Less Than Thrilled. Avid PC gamer and Twitch streamer. Loves online multi-player games and believes games should have amazing storylines not just great graphics.